Click on image for full screen view. 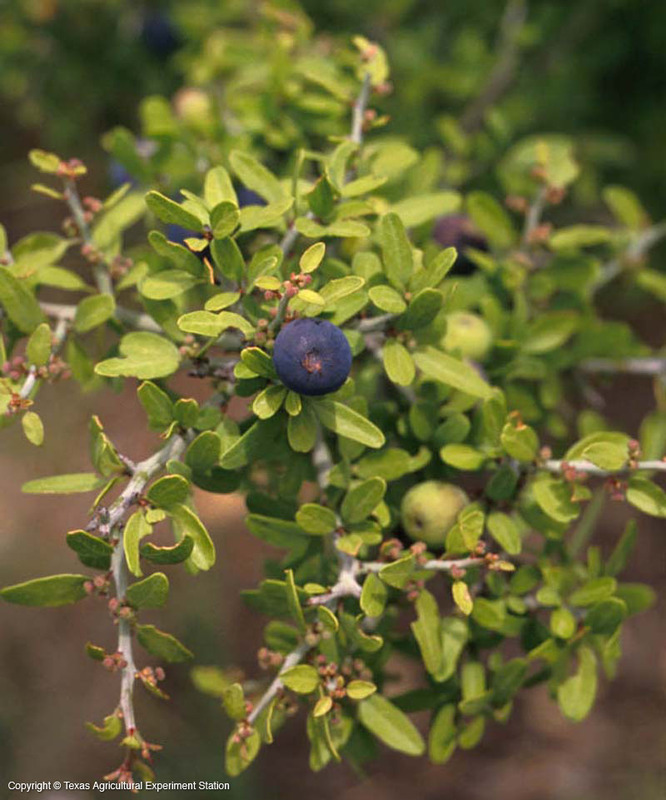 Lotebush is a rigid, spiny shrub with grayish-green thorn-tipped branches that grows abundantly on the dry hills and desert flats in the Trans-Pecos and the Rio Grande Valley, and throughout the state except the east and higher parts of the Plains. It is also native to New Mexico, southern Arizona, southern California, and south into Mexico. The tiny, alternate, pale green leaves are often prematurely deciduous, dropping as early as November in South Texas. The flowers are inconspicuous, appearing in spring in the southern part of its range and in summer farther north. The dark blue fruit is edible, but not especially tasty, except to wildlife. It also provides good cover for small mammals and birds. In Mexico the bark of the root is used as a soap substitute.